We stock XQD memory cards from some of the worlds leading brands including Sony. 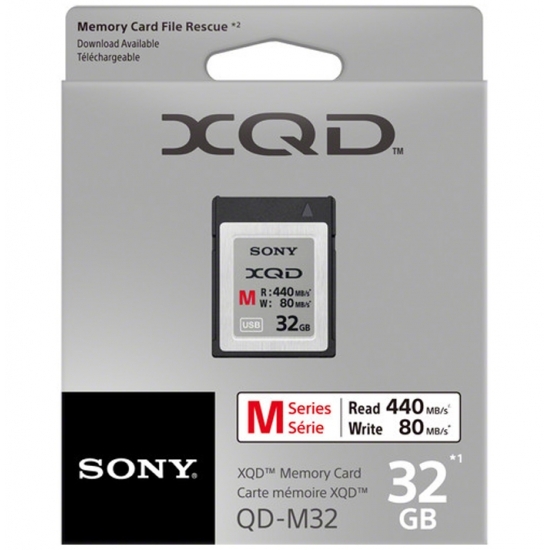 XQD memory cards are currently available in capacities of 32GB, 64GB and 128GB. This particular format of flash memory card has been produced with the professional market in mind who often require faster read and write speeds which are limited within the other memory formats. 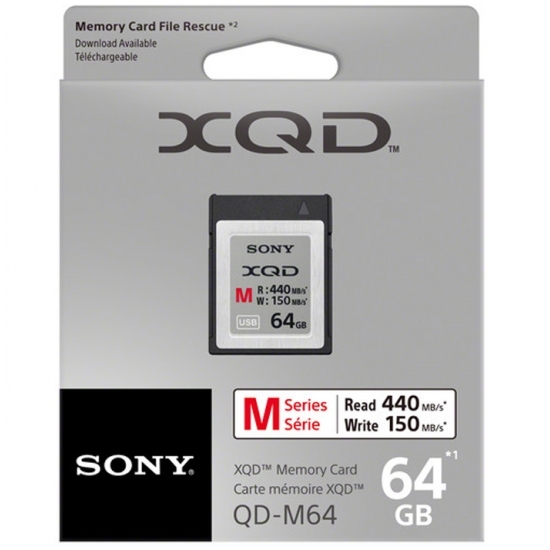 XQD memory cards offer read speeds of Up To 440MB/s and write speeds of Up To 150MB/s, Up To 400MB/s or Up To 80MB/s. The XQD memory card has been designed as a successor to the CF card and although shares a similar name it is a different fitment to the CF format of card. Our range of CFast Cards are available in capacities of 32GB, 64GB and 128GB with read and write speeds to suit all your devices. Our CFast memory cards are available with write speeds up to Up To 150MB/s, Up To 400MB/s or Up To 80MB/s so you can be sure you never miss a shot. Enjoy Free Fast Next Day Delivery from MemoryCow on CFast memory cards from some of the worlds leading brands such as Sony. Click here to see our delivery options and costs. We offer warranties on all our CFast memory cards including 1 Year.